Africa is endowed with an abundance of human and mineral resources. There are about one billion people inhabiting the continent and still abundance of oil reserves, gold, platinum, tin, diamond and other precious metals and minerals that drive the global economy. While the majority of Africans are barely getting by financially, African presidents are known to be among the wealthiest individuals in Africa and there is a general understanding that it is the office that swells up the bank accounts of African presidents and their families. In this article, we explore the richest African presidents and how much they are worth as originally published by Richestlifestyle based on information from Forbes.com, ForeignPolicy.com, CelebrityNetworth.com and Cabinda.net. 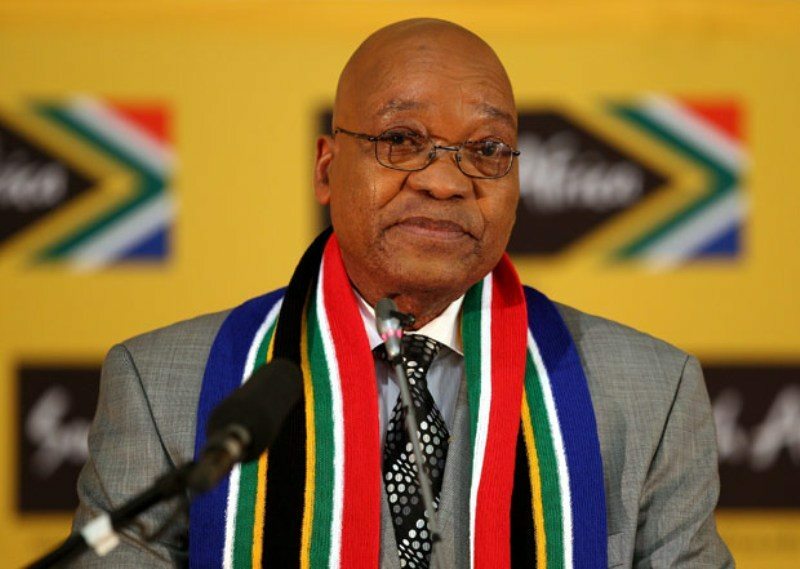 Born on April 12, 1942, in Nkandla, Jacob Gedleyihlekisa Zuma has been the president of South Africa since May 6, 2009. Upon the completion of his first five-year term in 2014, he was re-elected in the 2014 general election. Msholozi, as he’s fondly called in his clan, takes home almost an R3 million annually. Reports have it that between February 2014 and February 2015, Zuma pulled in a whopping $75 million, making his way to the top of the list of highest paid politicians. According to multiple sources online, the embattled president’s impressive net worth is linked to his chains of businesses. Zuma reportedly owns several restaurants in Pretoria, smart stock investments, and substantial property holdings. He also owns a brand of Vodka, a football team called the ‘Nkandla Angels’, and a fashion line called ‘Jacob Zuma Seduction’. He got married to five wives and has twenty children and many grandchildren. 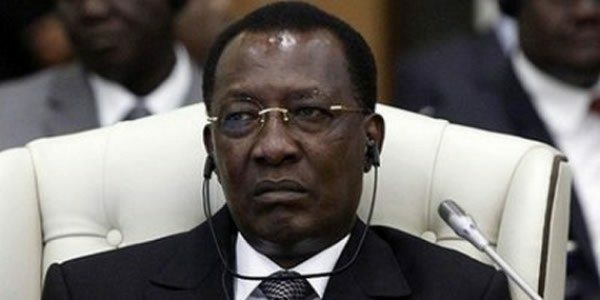 General Idriss Déby Itno is a politician from Chad who has been the President of Chad since 1990. In October 2006, Forbes magazine ranked Chad top on the list of most corrupt countries in the world for what may be regarded as “the single most piggish use of philanthropic funds” after the revenues from Chad–Cameroon Petroleum Development and Pipeline Project that was intended for combating famine and foster development were used to acquire arms to keep Idriss Déby’s regime in power. He is estimated to have a net worth of $50 million. King Mswati III is the king of Swaziland, a landlocked kingdom in Southern Africa. He is the 15th richest among the world’s royals. According to Forbes, his net worth dropped from $200 million in 2012 to $100 million in 2014. For a country that has over 60% of her population living below $1.25 a day, King Mswati does not make any excuses for his spending for which he has often been negatively criticized. He is currently married to 15 wives each of whom lives in her own expensive apartment. His wives alone spent over $6 million in 2013 and the recent 2014 budget has had his household allocated $61 million. He has 13 palaces, fleets of top-of-the-range Mercedes and BMW cars including at least one Rolls Royce and a $500,000 Maybach 62. In 2012 he acquired a private jet which was estimated to cost $17 million and was speculated to have been paid with public funds. He has been in power for over 28 years. Paul Biya is a Cameroonian politician who has been ruling the country since 6 November 1982, making him one of the longest-serving presidents in the world with over 35 years of running the office. His $200 million net worth has had him up on the list of leaders with ill-gotten wealth which he lavishly spends. Paul Biya is the said to be the richest man in Cameroon and it was reported that his vacation was one of the most expensive in comparison to other world leaders and even the president of the United States as he spent up to $40,000 per day just on accommodation. Biya was born 13 February 1933 in Mvomeka’a. He married twice. His first marriage was to Jeanne-Irène Biya, who died on 29 July 1992. He subsequently tied the knot with Chantal Biya on 23 April 1994. Biya and Chantal, who’s 38 years younger than himself, share two children together. 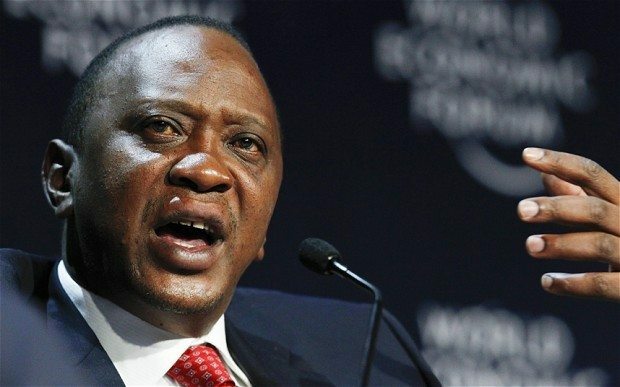 Uhuru Muigai Kenyatta (born October 26, 1961) is the fourth and the current President of Kenya. He has been in office since 9 April 2013 and is one of the richest men in Kenya. He has previously served in the Government as the Minister for Local Government between 2001 and 2002. He has an estimated net worth of $500 million. He made most of his money in the real estate industry with ownership to over 500,000 acres of land in Kenya. Uhuru also has stakes in Kenyan media companies, hotels, banks just to name a few. Teodoro Obiang Nguema Mbasogo has been the President of Equatorial Guinea for over 34 years after ousting his uncle from office in 1979 in a military coup. He has looted and plundered his oil-rich country while sharing none of the country’s wealth with the citizens while the citizens of his country live on less than $1 per day. His son has followed in his footsteps; living lavishly in a $35-million estate in Malibu and three $1.7-million Bugatti Veyrons. Teodoro was born to Santiago Nguema Eneme (father) and María Mbasogo Ngui (mother) in Acoacán, Guinea on June 5, 1942. Born on August 1963 in Rabat, Morocco, Mohammed VI has been the King of Morocco for the past 15 years. Raised in wealth, power and royalty, he had the opportunity to be educated at the most prestigious schools worldwide. After he ascended to office in July 1999 following the death of his father, King Hassan II. During his ascension to the throne, Mohammed VI made a public promise in which he stated that he would tackle poverty and corruption in Morocco, reduce unemployment and improve human rights status in the country. He has been keeping most of these promises which have earned him the recognition as the defender of the poor. His net worth is said to be $2 billion. According to reports, Mohammed VI’s fortune largely stems from a Moroccan company called (SNI) Societe Nationale Investissement, where he has large assets worth over $10 billion and also from gigantic companies such as Marjane Holding and SNI’s 48% shareholding in Attijariwafa – Morocco’s largest bank. Jose Eduardo dos Santos was the second president of Angolan. He was in power from September 10, 1979, to September 26, 2017, bringing to an end his over 34 years in power as the President of Angola. Former president Eduardo dos Santos was known to only have one suit and two white shirts between 1963 and 1970 when he was still living in Brazzaville. While in power, he amassed over $20 billion as personal wealth. This was not in addition to his daughter Isabel dos Santos’ outrageous net worth which earned her the richest woman in Africa and the world’s richest black woman with over $3.4 billion of personal wealth. While the Dos Santo family’s eye-popping net worth kept growing under Eduardo’s watch, close to 70% of Angolan citizens were reported to have lived below $2 dollars a day. Although Jose’s extensive leadership has finally come to end, it’s believed that his net worth still stands at $20 billion as there’s no current information about his personal wealth. In 2017, Nigeria’s former president Goodluck Ebele Jonathan had an estimated net worth of $105 million, as contained in Forbes Africa’s Rich List. He served as Nigeria’s president from May 6, 2010, to May 29, 2015. Jonathan’s fortune stemmed – to a very large extent – from the prestigious positions he was appointed to in the Nigerian government and other endeavours, his monthly salaries, allowances, investments and pensions. Robert Mugabe was the president of Zimbabwe from 31 December 1987 to 21 November 2017 when he resigned after his party expelled him, bringing his 37 years power grip to an end abruptly. One of the most popular presidents in Africa, Mugabe was one of the longest-serving African presidents not because there have not been elections in these years but because he uses his incumbency to re-elect himself and declare himself winner even after elections. 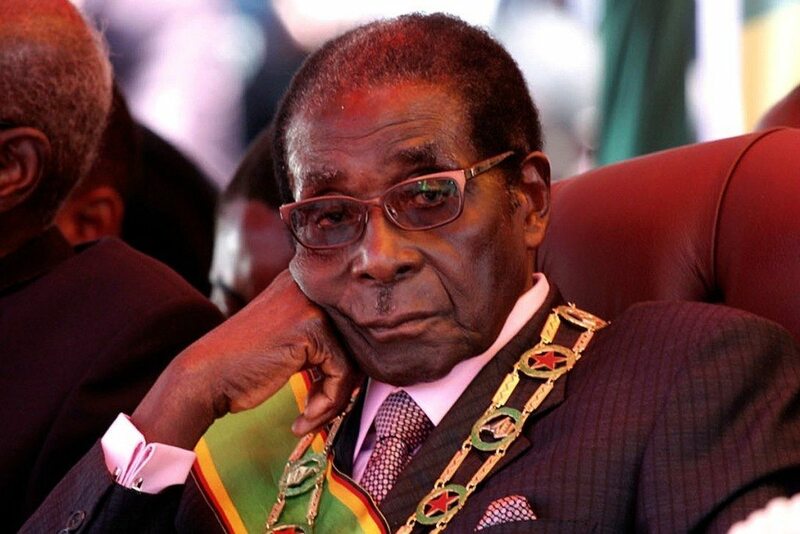 Mugabe, whose net worth stands at $10 Million amassed his fortune while in power. His assets include a Hong Kong mansion, an R138-million Zimbabwe mansion, an R660-million England palace, Farm empire, an R16-million Mercedes Benz S600L, Rolls-Royce Phantom, Zimbabwe Consolidated Diamond Co., and many others. While some sources reported that his net worth is around $100 million, others are of the opinion that he’s worth around $1 billion. Former president Robert Mugabe’s wife Grace and sons are known for leading flamboyant lifestyles and for getting on the wrong side of the law both within and outside the shores of Zimbabwe.